We don't use any split conduit; is it even allowed in NCOP14? It also needs to be orange, for anything over ELV (anything that can reach 120 V under any circumstances). [ Edit: Weber points out below that NCOP14 actually requires orange for over 60 Vdc. ] I assume conduit adapters, as we are using, would work with split conduit. Could you re-upload your images scaled to 50% please? (Use the File Manager.) If you retain the same names, you don't have to edit the post at all. You have to delete the original images before uploading the scaled ones (assuming you keep the same names). Last edited by coulomb on Fri, 13 Jan 2012, 20:47, edited 1 time in total. Yes I meant the ELV black conduit, held in by silicone. Sorry to muck up your thread with excessive pics. I am a Noobie! Not quite sure how to reduce the jpgs on my Mac. Ths is the adaptor type I meant. Last edited by Renard on Sun, 08 Jan 2012, 15:05, edited 1 time in total. Thanks Renard, for pointing out we had nothing to stop that black conduit being pulled out. I've now put a cable tie around it, just inside the box. Less than ideal too, since it squashes all the wires together. I think your solution is a good one. I think those male barbed conduit adapters should still be available, since the grey flexible (not corrugated) PVC conduit ("grey hose") is still available, although 16 mm is probably not a common size. It's unfortunate that the black split corrugated is 15 mm. 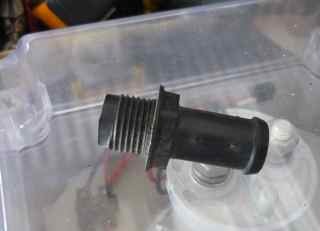 It also seems to be polyethylene or similar and so I don't think it can be cemented into a female PVC conduit adapter as Coulomb suggests. Coulomb, NCOP14 requires orange conduit and insulation for cables over 60 Vdc. 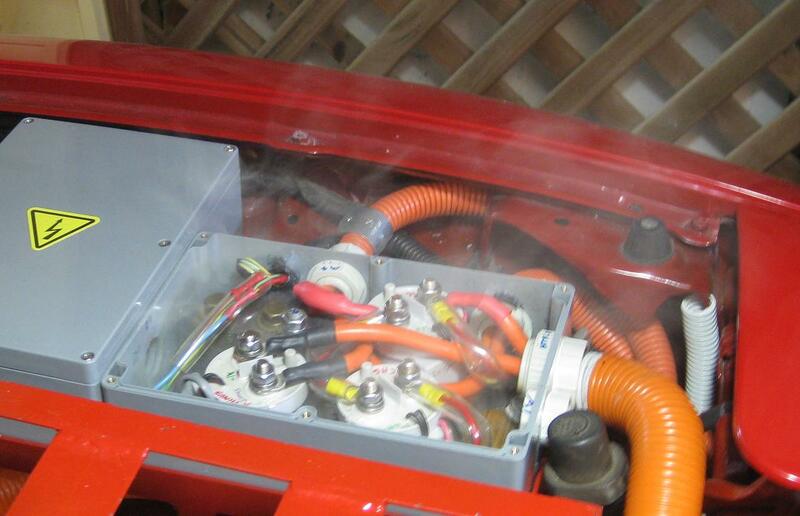 It may seem a bit nit-picky to fuss about ELV conduits, but unlike ICE vehicles, where loose wiring is not so serious, it behooves us to treat ELV wiring to a higher standard, particularly where ELV wiring is in proximity to battery pack voltages. So either one should secure conduit terminations or clamp the wiring by glands or clamps rather like 240V wiring in domestic appliances, to avoid the risk of ELV wiring pulling free from its terminals and contacting higher voltages -- or rendering the whole vehicle dead! 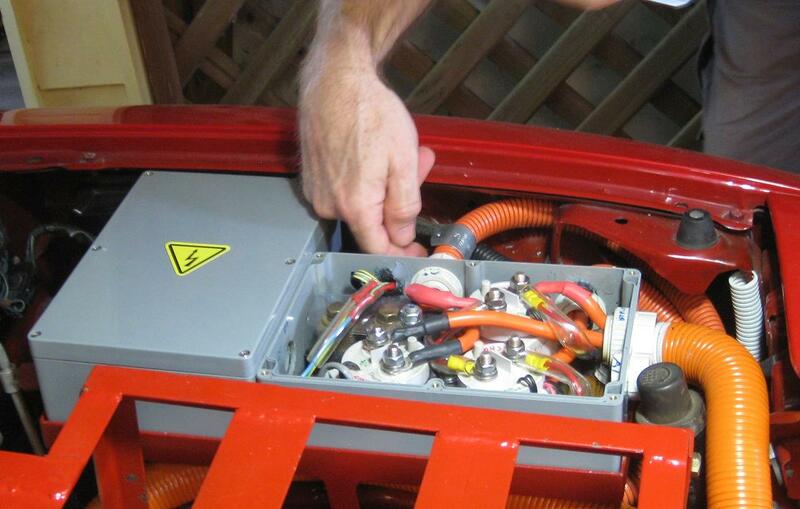 The battery wiring is less problematic because cables are bolted down. 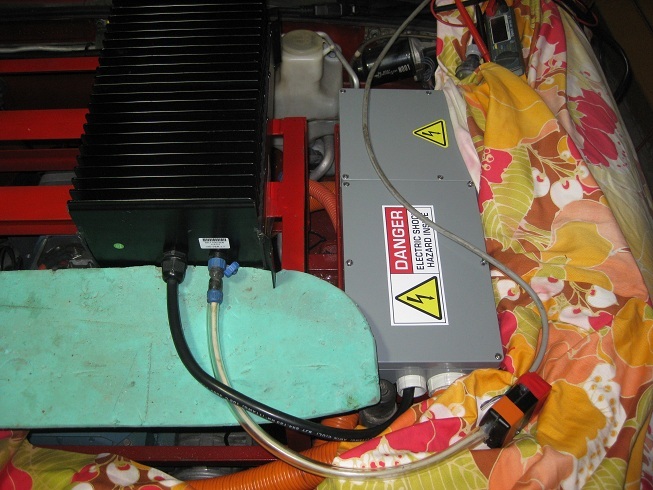 We were contacted recently by a New Zealand EV-er (and Forth guru), Bernie Mentink, who is using the same model ABB induction motor as we are. The 3GAA131008-HSE (nominally 22 kW, 2-pole, 132-frame, 415 Vac in star, foot and flange). Here's his EVAlbum page. He had a similar experience to us, in that it took a very long time for his motor to arrive. So I told him the incredible reason why. Congratulations! I'm keen to learn if your serial number ends in 002 as ours ended in 001. I'm also keen to know if they actually supply you with the -HSE (foot AND flange) as you (and we) ordered, or whether you find it's a -ASE (foot only) as we were first supplied. apparently there was some restructuring going on in the factory. Yeah yeah. Always some excuse. It was like chinese whispers (or whispers in 4 different languages). About half the time the message just got lost and _nothing_ came back. You look inside these motors and they look hand-wound, and really densely packed. I know a motor rewinder who is certain that it is impossible to get a 22 kW industrial rating from a 132-frame motor. I learnt (in a dream) that there's a little 117-year-old Finnish guy on life-support in a secret hospital, paid for by ABB. He is the only person left on the planet who still knows the secret of how to get so much power out of a small induction motor like this. Let's call him "the master". He remembers, when he was a very small boy, meeting the great Mikhail Dolivo-Dobrovolsky (the Russian/German inventor of the squirrel cage induction motor) who was then himself a very old man near death, and receiving a secret initiation whose meaning he would not understand for many years. When ABB Finland finally received your order, after 3 months lost in the system, the manager visited the bedside of the master, taking with him the master's 90 year old apprentice, "Young Olaf", and a motor frame and some winding wire. Then the master, whose fingers were now too weak, coached this dumb "kid" to do the windings, turn by turn, in a croaking voice. And many many times, the nursing sister, Maria, would say firmly, "That's all for today good sirs", so that they averaged about 5 turns per day. Which is why it took another 3 months to complete your motor. Then it took another 3 months to ship it from Finland to Spain to Singapore to Sydney and finally to Auckland. I swear by the Norse god Loki, it's the truth. Bernie confirms that his motor does have both foot and flange as ordered, although its nameplate is stamped -ASE (foot only). His serial number also ends in 001. So there goes that theory. More specifically, his ends in 2001, but ours ends in 6001, as you can see here. So there's no obvious meaning there. Renard wrote: Weber and Coulomb, I would not have had the temerity to comment except that I know this is not just any old conversion but is a quality job. Constructive criticism is always welcome; we are conscious that we can always improve. Especially after today, Friday the 13th , when everything seemed to go wrong. It happened that Jeff Owen was visiting, so we can't even hush it up We had promised Jeff a ride (on the nature strip / testing ground of course, no evil twins today) but we had two problems. The first was that the motor was spinning very quietly and slowly, and the second was that Windows chosen the middle of a download to the BMUs to restart after an update. (No doubt it warned us, but there are so many warnings about trivial software updates these days that one just wants to get the work done, and tends to ignore these warnings. Kind of like "don't bother me unless it's important" followed immediately by "why are you closing all my programs now?" After the netbook rebooted, we plugged in the ethernet cable to the CAN-ethernet bridge, brought up the telemetry window, and verified that the motor was spinning normally now at up to 4300 RPM. (We found that in the past it had been loading the wrong motor settings, and this had been limiting the motor speed to about 2000 RPM). Oh, well, that seems to be fixed now, so we put it out of our minds. I took over trying to fix the BMUs, which were in a right state after the partial download; in retrospect, this was the point I could have saved half the day (see later post on today's software adventures). Meanwhile, Weber was still suspicious about the motor controller configuration, and attempted to debug it while I debugged the BMU software. Jeff still had some time for his real, working, DC EV to charge. I was getting a bit uncomfortable JTAG programming all the BMUs in our smallest, most accessible battery box (19 of them), so I went inside to get a stool. Just as I was about to set it down, there was a bang. "What was that?" followed closely by "There's smoke! Turn it off!". As you can imagine, we hadn't rehearsed this moment very well, so it took Weber a moment to figure out that this was his cue to turn off the key-switch (he happened to be in the driver's seat, literally). Oh, and these two exclamations were soon followed by "Where's the camera? Get the camera!". I rushed up the stairs and found it first; Jeff went the other way, used his last-year-broken arm to swing around a pole, and instantly regretted it. We didn't have to rush too much as it turned out; whatever was generating it had plenty of smoke to spare. Well, we were soon to find out. Jeff asked "Hey, what's that black thing?" 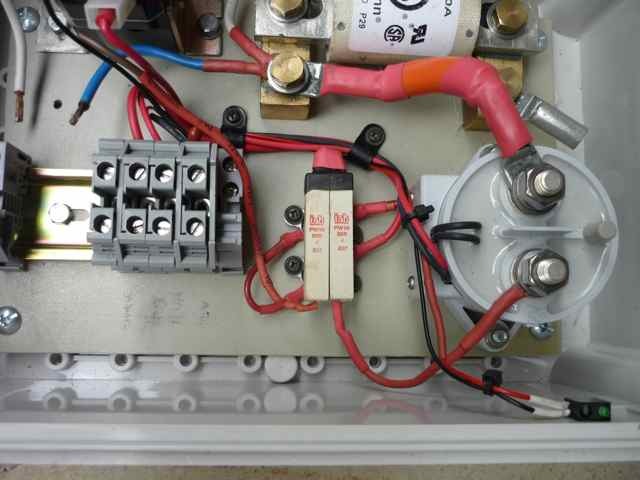 Somehow the motor controller contactor mustn't have come on, even though the pre-charge contactor must have. We had checked the bus voltage: 243 V, about what it was last week. It didn't occur to us at the time that this would have been the exact same value with 100 ohms of resistance in series with the DC bus. Had the pre-charge circuit delay failed? Maybe this is a good reason to have a circuit that checks for the voltage across the main (in our case, the last, or motor) contactor to go below a certain voltage before energising that contactor? A moment's thought shows that this would not have helped in this case. Oh oh, maybe buying $65 EV200 contactors from Ebay wasn't such a smart move? Or maybe the contacts had been damaged by bad pre-charge events over the last week or two? Somehow, it just didn't seem likely. Weber decided we had to disconnect some battery jumpers (we could easily access two of them; these break up longer strings of cells that have parallel rows of cells at different potentials, so it's safer to work on those cells if necessary.) We re-applied 12 V power, listened for the contactor sequence (three clicks: the first as we get key-switch on, the pre-charge contactor when we go to "start", and the motor controller contactor (main?) when pre-charge is complete, about half a second after the start is switched to). But when we started poking about in the wiring (all safe now, no high voltage, and yes, we did check with a multimeter), we found that something was intermittent and dropping out one of the contactors. 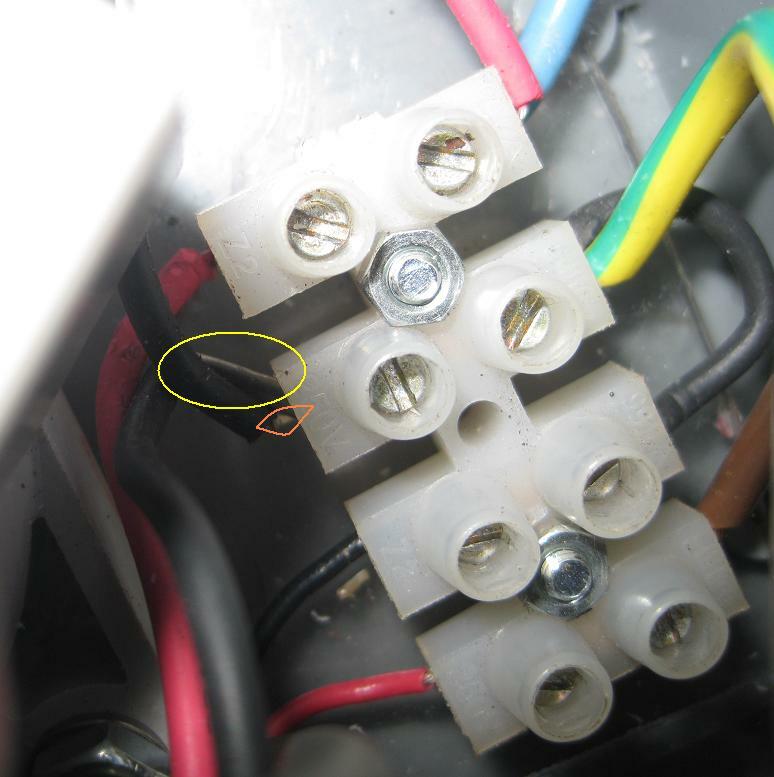 The yellow arrow is pointing to a "crater" in the usually-clear polycarbonate false floor of the contactor box. (It's needed so that the screws holding down the contactors, posts, shunt, pre-charge resistor etc. don't exit the box and cause a potential (!) hazard. 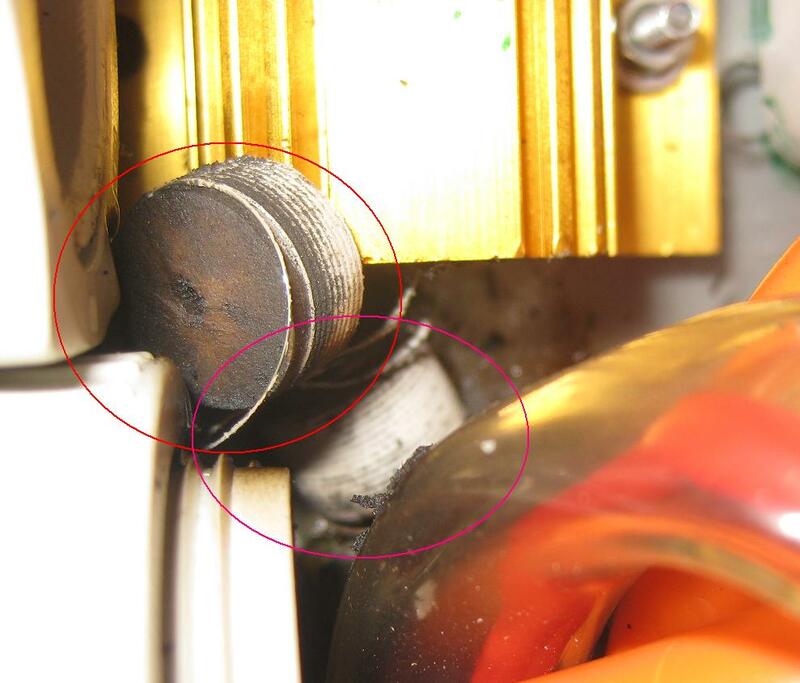 The crater matches the plug at the bottom of the picture, and seems to have been caused by extreme heat after the initial bang. Weber removed the plug from the crater, obviously. The crater went right to the bottom of the box, but fortunately didn't damage it apart from spraying black goo onto cables and hard-to-reach corners of the box. We're thinking that we may have gotten a golden opportunity now to re-design the contactor box. Renard, you get your wish! I don't have to tell you that the smell of burning resistor smell was strong all afternoon. Does anyone know what that very characteristic smell is? All resistors seem to be stocked with it. Maybe it's a sort of sponge that holds the magic smoke inside. It's interesting that the pre-charge resistor withstood the punishment for so long. In fact I remarked to Weber: "You had to abuse it for a long time before you blew it up!" Last edited by coulomb on Fri, 13 Jan 2012, 20:51, edited 1 time in total. So much for the hardware excitement today. Oh, but before I leave the hardware, I guess the take-home lesson from today is: if the motor suddenly seem to be turning much more slowly than expected, don't keep pushing the pedal down! After we were resigned to not driving the MX-5 today, and while I was JTAG loading the first set of BMUs, we got to thinking about why the BMU software wasn't responding. After all, JTAG programming of BMUs on top of boxes buried in the car are just not going to be practical, and certainly not safe. These nineteen laid out nicely along the upper middle of the car are bad enough. We had to figure out why it happened, and how to prevent it from happening again. It turns out that our first mistake was impatience: we ignored a warning because we just wanted to drive the thing. But the BMU lights were telling us that a download had failed (we hadn't realised that when Windows was rebooting, it was in fact in the middle of a download. It's hard to imagine how one could forget something like that; I think it has something to do with the act of sheer disbelief that seems to wash every other thought out of one's body and soul when it happens . Oops, one final thought: We have Steve Ballmer to thank for the fact that as a result of his corporation's software, we were spared the embarrassment of having the car fail out in the paddock (or worse). Thanks, Steve! What we had after that aborted download was half old code and half new code, and the bootstrap loader software still listening for the second half of the program download. Our immediate reaction was to type a few carriage returns, and attempt the download again. (We know this, because we could see two carriage returns, the "password string", and the start of the bootstrap loader software almost exactly half way through the flash image of the BMUs when we later debugged them with JTAG software). But we have a watch-dog timer! Why didn't that save us? It took us most of the afternoon (when not scraping black goo off the contactor box) to find out. When the download is aborted like that, illegal instructions appear in the instruction stream. Here's a dirty little secret about TI's MSP430 processors: there is no illegal instruction trap. (The datasheet mentions an "illegal instruction fetch" instruction flag, but is silent on the details, at least for the MSP320 family manual, and the manual specific to the MSP430F2012 that we are using.) So what happens when an illegal instruction is executed? It seems that "the results are undefined" (as a dry datasheet or scientific report might say, but our datasheets don't say). When we Googled for "illegal instruction MSP430", we get advice like "don't fill your empty flash and RAM with $FFFF, use $3FFF instead (it's a jump to self infinite loop). I guess the idea is that at least it will stay safe, and the watchdog will eventually take care of the infinite loop. Somehow, I don't think that filling the 6 or so bytes of flash, and handful of bytes of RAM that we have "spare" (depending on stack usage) will help any. The JTAG software was telling us that the program ended up "executing" instructions from unimplemented RAM space, and even from Special Function Register space, before somehow "bouncing" to 0x1000 or 0xF800. When it got there, it seems to have been "forced" there by the watchdog timer (since it wasn't consistent how many instructions it would execute "out in the weeds" before it did a reset of some sort. The shocking thing was when it finally got back to the start of the monitor or the start of the bootstrap loader, the watchdog timer bit wasn't set. So it really seems that being out in the weeds just addled its brain. For a while we thought that surely there was an illegal instruction set trap, and surely we just had to find the right bit to test from IFG1 (the flags register that has the watchdog timer bit in it). There is still some chance that we can infer an illegal instruction from the lack of power-on reset, external reset, or other fault. However, at least when JTAG debugging, the external reset bit doesn't seem to work, and the "crystal oscillator fault" is on (we don't have an external crystal), so that's a flag we'd have to mask out. We have six (6) bytes of space (actually way more than I remembered) in the bootstrap loader (out of 256 bytes of "calibration" flash memory space). So unless we find a pleasant surprise when experimenting with the IFG1 flags (in real programs, using real resets, not JTAG debugging), what we're left with is this: we must take heed of incomplete downloads. We must check the LEDs on the last BMUs in each half-pack; fortunately, while these are not easy to get to, it is possible. Besides, a perspex-filled (and sealed) hole in the boot, under some carpet, has some appeal! So, that was our Friday the thirteenth. How was yours? Last edited by coulomb on Fri, 13 Jan 2012, 20:19, edited 1 time in total. coulomb wrote: Somehow the motor controller contactor mustn't have come on, even though the pre-charge contactor must have. 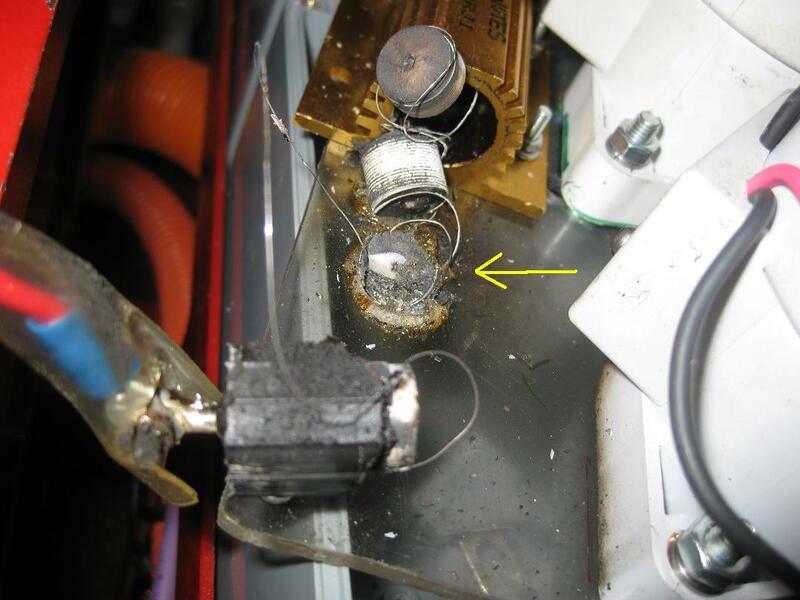 Weber suggested that perhaps the best way to prevent this sort of thing happening in the future is to wire a bimetal switch in series with the pre-charge contactor coil, thermally connected to the resistor case of course. I suppose that a Positive Temperature Coefficient (PTC) device in series with the pre-charge resistor might also work, but then it has to withstand high voltage, and could become a hazard in its own right. Last edited by coulomb on Sat, 14 Jan 2012, 05:08, edited 1 time in total. I learnt years ago that one must turn off "automatic updates" in Windows if you want to use it for any serious purpose. Just have it notify you that updates are available and then you can choose when to install them. also don't use those chocolate block terminal strips, they are useless in an automotive environment. Electrocycle wrote: also don't use those chocolate block terminal strips, they are useless in an automotive environment. Well, I've never heard that, but the evidence is with you. Is it because the vibration loosens the single point of tightening? We've been careful to resist the urge to twist wires together and solder them; the solder wicks into the cable and makes a brittle-to-flexible stress point that fails with the vibration. What do people suggest for things like contactor coil wiring? Bullet connections? But then how do you join multiple points together, like the common for contactor coils. Spade terminals where appropriate or possible? But again I don't see how several wires can connect to each other. I assume that "BP" connectors, which are just like single terminal block connections, would be no better. Perhaps we just need to use bolts with terminal lugs, as we have been doing for the high voltage connections. For low current connections like these, it would not even matter if some of the current conducted through the bolts. My concern here is separating the 12 V wiring from the high voltage wiring. At least terminal blocks provided another insulation barrier between the two. I guess we need good design, and possibly polycarbonate film barriers, as we have between the shunt and some 12 V wiring that we can't avoid having close by. I had the thought last night that with our spectacular lack of ability to visualise these complex, packed contactor boxes in 3D, we should be using something like Google Sketchup to design them. Each component should be designated to have about 90% transparency, or else we use the wire frame view a lot, or something. With a 3D package like that, we should be able to "try out" some candidate designs, and see what the required bending radius for the cables will be, what the actual separation between conductors is in 3D, and so on. Thanks for the blunt advice, Electrocycle. We can't have failures like this becoming commonplace, even if they mostly don't end up causing a direct safety hazard. There is always the indirect safety hazard, i.e. a disabled vehicle in traffic is a nuisance to other traffic, whether the smoke stays in or not. I guess we just didn't give enough thought to the "ordinary" 12 V wiring. I'm sorry to hear about your troubles, but perhaps a little vindicated that the fault lay with the 12V wiring. I read a year or two ago somewhere in the posts that a thermal cut-out in the contactor coil circuit was a good idea. And that's what I've done in my box. The two 56ohm resistors are in series and are glued on top of two re-settable thermal cut-outs in series (extra precaution to have two). Renard wrote: I read a year or two ago somewhere in the posts that a thermal cut-out in the contactor coil circuit was a good idea. And that's what I've done in my box. However, now that we're critically examining construction techniques, I see that you are using terminal blocks as well. They aren't the usual "chocolate bar" type (thanks for the term, Electrocycle), and are satisfyingly chunky-looking compared to ours, but I think that they may still fall victim to vibration just the same (or almost as badly). Or is there something else to the design that I can't readily see from the photo? The other thing is that you have chosen to use leaded (or so it appears) pre-charge resistors. It looks like you have soldered to the leads. Isn't that a big no-no, with solder wicking back into the wire? Or do you have crimped bullet connections (or something else that is solder-less) under that heatshrink tubing? Worse than that, you appear to be using solder instead of ferrules to keep the thin strands of wire together when inserting into a terminal block. Isn't that asking for trouble with fatigue fractures down the track? Speaking of the evils of soldering wires, I guess we are guilty of this with our pre-charge circuit. That part was more or less done between my visits, and I was glad to see it done and out of the way, and somehow forgot to be critical about its design. We can probably do some sort of crimped arrangement to connect the wires to the board. Soldering of components to the vero-board should be fine; after all all cars have ECUs these days with many soldered components (just not wires). The high vibration automotive environment is a little different to the industrial and domestic environment (e.g. solar installations) that we're used to. Last edited by coulomb on Sat, 14 Jan 2012, 04:32, edited 1 time in total. Like you, I didn't want to have any metal fixings going through the box walls or floor. The false floor is cut out of an old ABS box, so it's essentially the same material as the box itself. About the solder, I must plead guilty. While I can see that I should be using ferrules for fixing to terminal blocks (it's very much a work in progress) I find it hard to get away from solder. Is it an electronics habit to distrust crimping? My hope is that by tying the wiring down to the floor with cable ties -- probably more than I've got here -- there won't be any significant vibration. Otherwise, as you ask, what to do? Terminate with crimped eye lugs bolted to a common bar? Given that for circuit boards, solder is thought to be OK, it must be because the components are firmly fixed and can't vibrate. So if one does the same for the wiring by fixing it firmly with clips and ties, shouldn't that be safe enough? I think that if one is to use terminal blocks they should be all right as long as they're the type that compresses the wire between two plates rather than piercing the wire with the fixing screw. Connector strip of the "chocolate block" type is available with a clamping system where the wire is clamped inside a metal shell - tightening the screw causes the metal shell to be squeezed onto the wire and it provides much better support. If you do use these connectors, they should be firmly screwed down and the wires supported by cable clips as close to the terminal block as possible. Soldering is OK as long as the wire has "strain relief" or support close to the terminal so it can't move/flex. Crimping is 100% satisfactory as long as you have the proper crimping tool. Those of us who just use a pair of pliers tend to solder as well because the crimp is not reliable unless it is formed into a tubular shape and squeezed as the crimping tool does. Properly crimped spade terminals are generally preferred where possible. Last edited by Nevilleh on Sat, 14 Jan 2012, 05:40, edited 1 time in total. Weber/Coulomb: if you want a proper precharge circuit (ie, Automotive OEM quality) then you need contactors with the auxillary contacts, monitor the contacts with your BMS, and don't let the driver controls issue any commands until it sees (from the BMS via CAN) that the precharge sequence is finished. I 2nd the screw terminals as a complete no-no. See how many you can spot in a normal car! Crimps for everything. You can get commoning blocks for spade terminals. And get the right crimp tool - one very strong argument for picking one type of crimp and using it for everything, given the price of most tooling... probably go for a 1/4" spade or something like that, then you can also use the right tool to get contacts onto relays, fuses, and lots of other standard automotive bits. Thanks for all the great advice, guys. Out with the screw terminals! In with the spade lugs. Although I must point out that we were not using twisted wire directly under screws (which cuts through the strands), nor were we soldering the ends (which suffers plastic creep so the screw tension is lost over time), but we were crimping ferrules onto the wires, then clamping the ferrules under the screws. It is ferrules, not wires that you can see circled in the photo of the fault above. Using crimped-on ferrules under screws is a common practice in industrial work. e.g. Industrial variable frequency drives provide screw terminals for all control wiring. 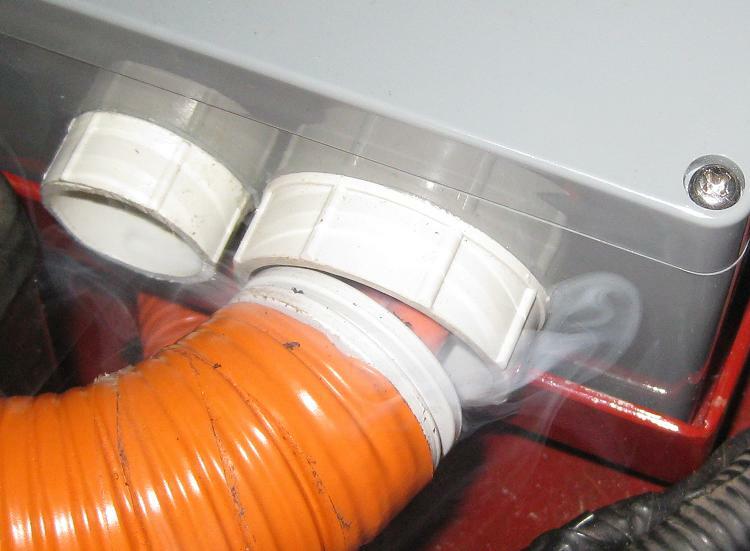 But then the VFD itself is not usually exposed to high vibration. Coulomb, the wires soldered onto the precharge delay board are surrounded with silicone for some height above the board. Probably epoxy would be better, and spade lugs soldered to the board better again. 6.35mm spade lugs are not good for even as little as 10amps despite their common use in domestic appliances. At 10A they gradually heat and loosen. Whether the termination of a vibrating flexible wire is by crimps or solder, there must exist at least one point -- indeed one region -- where there is flexing of the wire. All that can be done is to minimise it by tying down the flexible wire. I suspect that the reason for the universality of crimps in automotive applications has as much to do with cost of assembly as anything else. I usually solder everything (even crimp terminals) but also provide decent strain relief using heatshrink tube. With that and the wires adequately restrained I haven't had a problem, but I have seen crimped terminals go bad over time. As was mentioned before, crimp connections are the most reliable. In both automotive and aviation applications, crimps are always used. Rather than using terminal strips or spades/bullets, maybe use a multi-pin connector with crimp terminals. I would use something like this instead of spades or bullets as these are polarised (important if you have economisers) and are neater overall. My motor controller's precharge system constantly monitors both the capacitor and battery voltages. It controls the precharge process and closes the main contactor when the voltage difference between the caps and batteries is less than a preset threshold. During operation of the controller, if a voltage differential (greater than a given threshold) is measured between the batteries and caps, it knows the main contactor must be open and trips the controller. The battery voltage is measured on the battery side of the contactor and the capacitor voltage on the controller side. With the contactor closed, there should never be a difference between these two measurements. 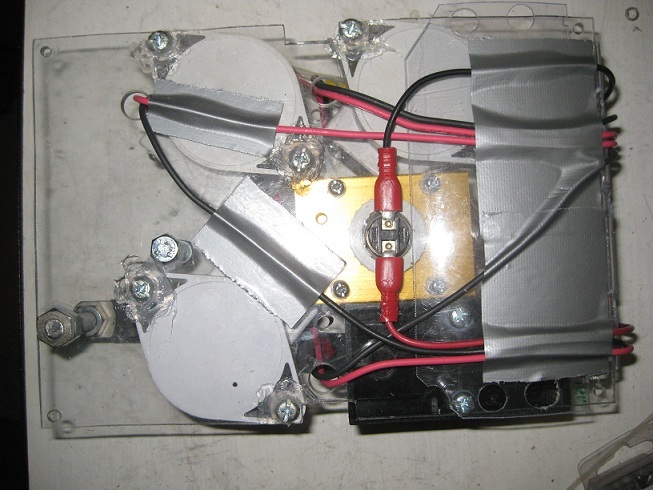 Following last EV day's... excitement, we have been redesigning the A2 contactor box. The polycarbonate false floor was damaged badly enough that we had to make a new floor anyway, which meant taking the whole box apart, and we didn't like the original design (which more or less "evolved", mostly before we knew where everything was going to go)... so it was obvious that we should take the time to redesign it. I had suggested using Google Sketchup, but Weber thought that would take too long. Upon reconsideration, think he might be right. We considered working with 2D cutouts (using printer, paper and scissors), but it would not give the third dimension. 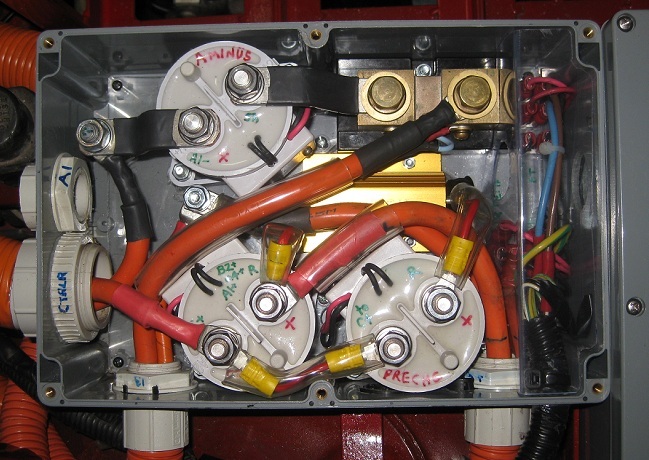 There isn't much substitute for placing the contactors in the box and juggling them. But then you need to consider the various connections. Aren't you following it completely? Maybe you had to have written it to appreciate it or follow it. The green numbers are the heights in "peanuts", units of 12.5 mm. One cable, even 35 mm^2, can fit in that height, and it just seemed to work out, though we had to resort to half peanuts at times. This design had some good features; all the negative conductors were on one side (top of the diagram), and positive on the other, and the 12 V wiring would hopefully fit into the corner at the bottom right of the diagram. We started having doubts, however, when we considered the thermal switch, which is 12 V wiring, and would be near the top left corner, diagonally opposite from the rest of the 12 V wiring. You might notice that I gave up on one of the upper negative wires (in blue), and "rats nested" it outside the box. However, we determined that it should fit. So that's the thermal contact surface of the switch, with thermal paste on it, sticking up through a hole in the clear polycarbonate false floor. The red quick-connect females just fit in the space under the false floor. To allow this, the quick-connect lugs on the switch were bent out flat, and the crease where they used to have a 90 degree bend was over-filled with solder as they were weakened by bending them. At least, if one breaks, it's a relatively safe failure -- the vehicle will lose traction power. That's the PVC nut from a conduit adapter that it is sitting in; it lifts the switch up enough so the quick connects are not forced against the (real) floor of the box when the resistor is bolted on. The M3 nuts and washers set the resistor height so there is a slight flexing of the false floor to load the switch against the resistor. The resistor mounting flange still manages to fit under the economiser protrusions from two contactors, although one screw had to be shortened slightly so that the resistor could be removed later, in case... well,... If we do it that way, we'll never have to take it out again, right? So hopefully soon we'll have recovered to where we were last EV day. But the contactor box will be better laid out, and the 12 V wiring will be more vibration proof, and better segregated from the hazardous voltages, and a hot pre-charge resistor (70°C) will drop out both the pre-charge and main controller contactors. Last edited by coulomb on Sun, 22 Jan 2012, 15:25, edited 1 time in total. We've finally finished the complete redesign, rebuild and reinstallation of our "A2" designated contactor box, containing the positive controller and precharge contactors and the most negative battery contactor for the "A" string of cells. Here's the "before" photo (before the precharge resistor blowout). And here's the new layout. The only thing that hasn't moved is the controller contactor on the bottom left. It's still pretty crowded -- we don't have much choice -- but there are many small improvements. The main one is the far better segregation of the 12 V contactor-coil wiring from the 375/750 V hazardous voltage wiring, and the use of quick-connects for the 12 V connections instead of ferrules under screw terminals. Thank you all for your advice on this. 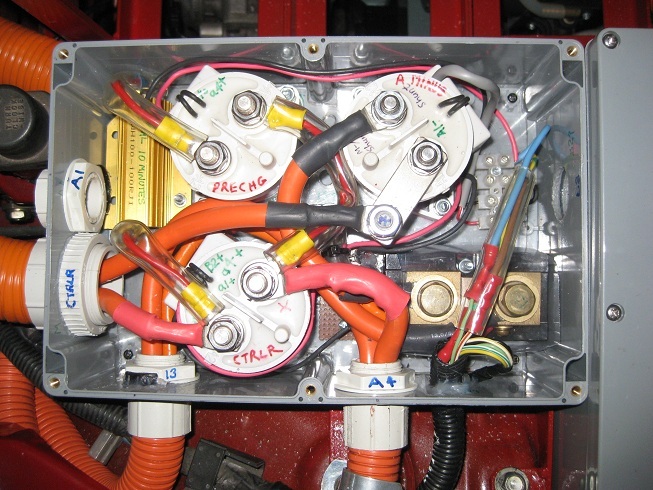 Each pair of coil wires now drops straight down from its contactor and through a 10 mm hole in the 3 mm polycarbonate baseplate (false-floor) (one of these holes is visible between the two lower contactors) and travels under the baseplate before emerging in the 12 V terminal area on the right hand side. The delay circuit that allows for precharging is in this 12 V area too, hidden at the bottom right of the photo. 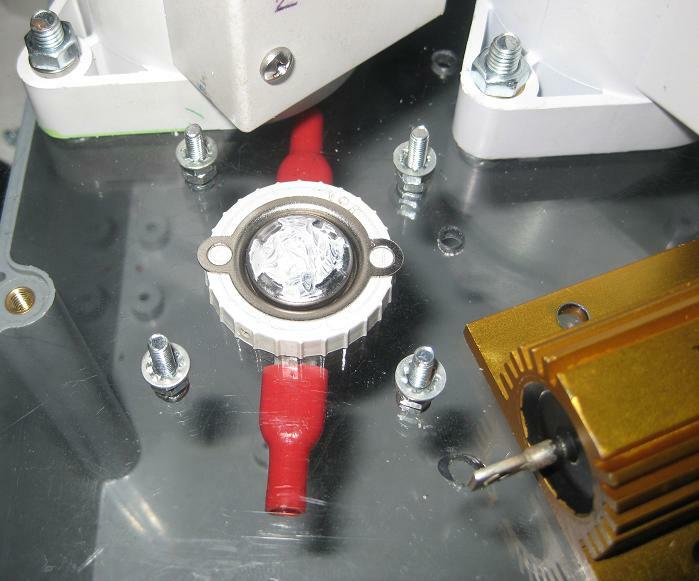 The 12 V area is boxed in by 1 mm cold-folded clear PVC. The HazV cables from the "B2" contactor box to the right, will pass thru this area in 25 mm conduit. And we now have a temperature switch under the precharge resistor which will disconnect the coils of both the precharge and controller contactors if the resistor goes above 70°C, and will reset itself when it drops back below about 50°C. Here's a photo of the underside of the baseplate showing the coil wires and temperature switch. Last edited by weber on Fri, 03 Feb 2012, 18:44, edited 1 time in total. We had a Thursday EV-day this week as Coulomb has other things to do on Friday. At the end of last EV day, after we had finished installing and testing the revamped contactor box described in the previous post, we connected up our little ASUS netbook (mini laptop computer), ready to do some logging of motor-controller CAN-bus telemetry, on the MX-ϟ's next test drive. Our highest priority is testing the reliability of the BMS comms, but it would also be good to find the reason for the somewhat jerky limiting that was experienced when our evil twins, Maxwell and Faraday (or was it Franklin), pushed it hard on the previous test drive. The netbook was running on battery and the battery was nearly empty. It took too long to find its AC adapter (thanks to my darling teenage daughter, who borrowed it because she left hers at a friend's place), and the netbook shut down. When we finally plugged it in and started it up again, it behaved erratically, and we had to give up, as it was time for Coulomb to go home. We seem to have been cursed by programming-equipment and test-equipment failures lately. ... then putting it back in the netbook and doing a system restore. Of course it took ages to reinstall all the software we use. We finally got it all back how it was a week ago, around lunchtime today. Thanks to all the rain we've been having, the weeds on our exit track had grown higher than the MX-ϟ, so Coulomb got stuck into it with the mower (a battery-electric one, of course). Although it kept tripping its circuit breaker because he was working it so hard. This time, Maxwell and Franklin (or was it Faraday) did the test drive with no extraneous wires connected to the BMS, and the result was -- drum roll please -- zero checksum errors! So there are no excuses now for us not getting the full set of BMUs made, except that we have to do another prototype for all the other non-comms-related feature-creep. See halfway through this post. The jerky limiting turns out to be undervoltage limiting. We currently have just under a third of the 40 Ah Sky Energy LiFePO4 cells installed (73 out of 228). These total around 243 V at rest (3.33 V per cell) We have the battery current limit set to a very safe 120 A (3C) and the low voltage limit set to 182.5 V (2.5 V pc). The data logging occurs at 0.2 second intervals. When it tells us that we are undervoltage-limiting, we never see a recorded voltage lower than 217 V (2.97 V pc) even when it is drawing 117 A. So it seems as though the undervoltage limiter is either too responsive to very narrow pulses of low voltage, possibly noise, or there's a 35 V safety margin added to the limit. Towards the end of the day, we made a start on getting charging working again, under software control, using information from the BMS. This will be the first time we've done this in the car, instead of on the bench. But it's still a temporary setup, as you can see in the photo. All 73 cells were top-balanced once, on the bench, but we are only monitoring the 19 we can get at, behind the rollbar, because we don't have enough prototype BMUs (battery monitoring units). So we won't be charging any higher than an average of 3.4 V per cell on any subset we can get a multimeter across. We got as far as a first test, but the charger wasn't receiving any commands from the BMS master and we ran out of time, so we'll have to continue that another day. In all, a very satisfying EV-day. Last edited by weber on Fri, 10 Feb 2012, 17:50, edited 1 time in total. Your "diary" certainly makes interesting reading and I think you guys are a classic illustration of the journey being more important than the destination. I do look forward to the TV series that someone mentioned. I think your bms is wired the same, from memory, so there you go: 1-wire comms. Last edited by Nevilleh on Fri, 10 Feb 2012, 01:07, edited 1 time in total.